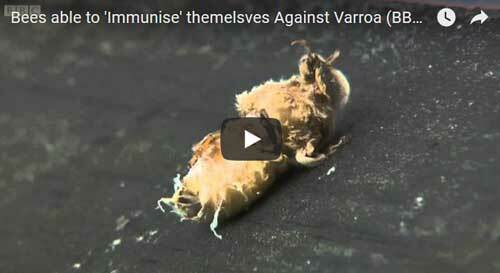 A new honey bee infection transmitted by Varroa mites ? 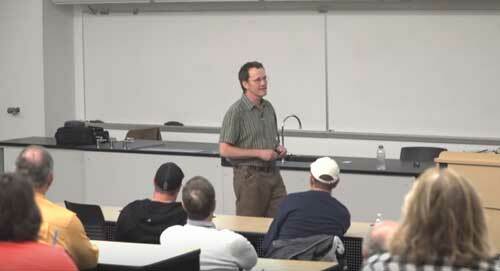 Jim Burritt, University of Wisconsin-Stout. The research, with student co-authors Anna Winfield, of Bloomer, and Jake Hildebrand, of Menomonie, was published Dec. 21 in PLOS One, a peer-reviewed, open-access, online publication for science and medicine research. 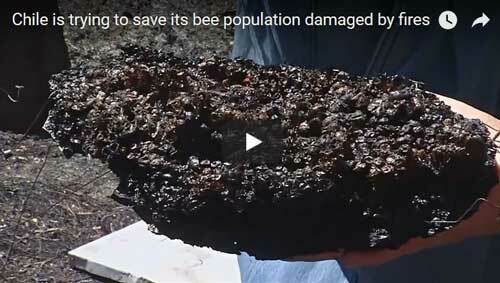 The study, “Sepsis and Hemocyte Loss in Honey Bees,” can be found online. 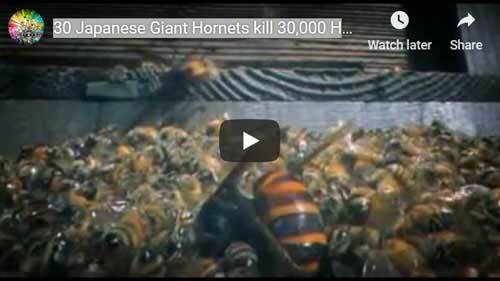 If you think you have seen an Asian hornet, please notify the Great British Non-Native Species Secretariat by emailing alertnonnative@ceh.ac.uk as soon as possible. Urgent Warning! 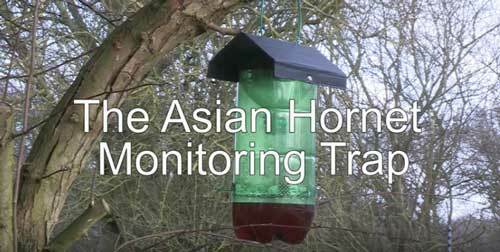 Asian Hornets arrive in UK. Are you prepared ? Martyn Hocking details his experience of the Asian Hornet incursion at his Woolacombe apiaries in September 2017. He raises many questions about how beekeepers might protect their hives and their local etymological environment from this most voracious of predators. A Canadian field study suggests that the negative effects of neonicotinoids on bee colonies is worse than previously thought. Jim Drury reports. The bee population has dropped dramatically and Michael Waite is taking matters into his own hands with a scheme to inseminate Queen bees. 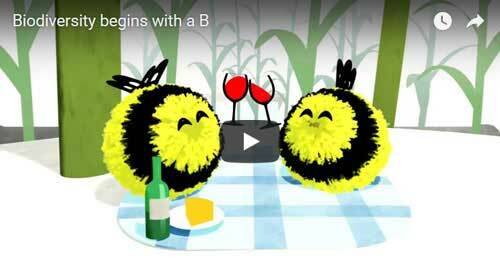 Biodiversity Begins with a B is a darkly comic look at the importance of bees to our natural environment. 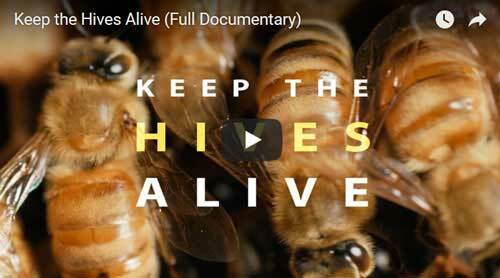 It features the voice of Scots comedian Phil Kay and encourages people to take a few simple actions to help support the variety of living things around us. Only two species of yeast --- ale yeast and lager yeast -- have been used for traditional beer brewing for the last 600 years. A lab in North Carolina may have found a third in the strangest place: On bees and wasps. 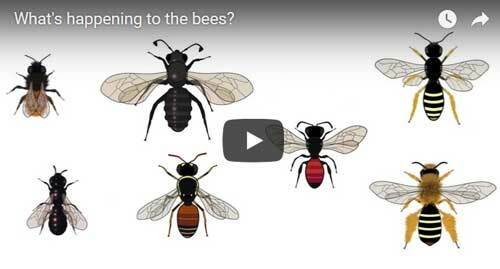 Wild bees and other pollinators are in decline, threatening pollination of crops and wildflowers. 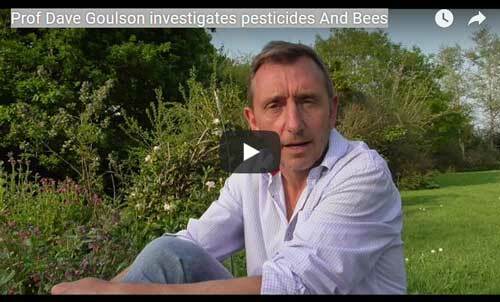 Dave Goulson will talk about the reasons for these declines, and focus particularly on pesticides. Modern farming has become dependent on heavy pesticide use, and this is highly likely to be contributing significantly to declines of bees. 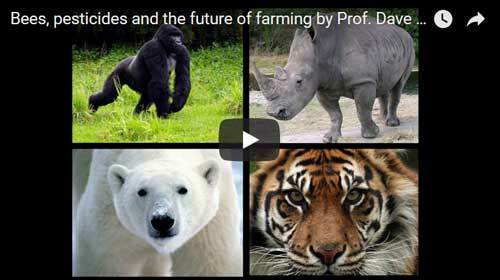 Dave will propose ways forward for food production: how do we feed ourselves without wiping out bees and other wildlife ? ; does Brexit offer an opportunity ? Researchers at Washington State University have been fighting back by treating hives with mushroom spores and extracts that are toxic to varroa mites. As a bonus, the mushroom’s antiviral properties keep bees healthy and living longer..
Mexican beekeepers are celebrating a victory after biotech giant Monsanto lost its permit to plant Roundup-ready genetically modified soybeans in the country. RT America's Marina Portnaya reports. Then, Simone Del Rosario is joined by Jeffrey Smith, founder of the Institute for Responsible Technology to weigh-in. Chile’s worst wildfires in its modern history, which are ravaging wide swaths of the country’s central-south regions, have claimed another silent but essential victim of human life: Bees. 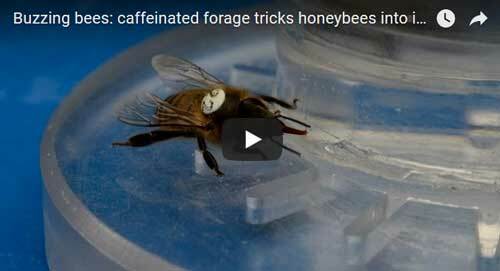 For the past few weeks, bees and other pollinators have faced increasing risks to their survival, threatening foods such as apples, blueberries and coffee. 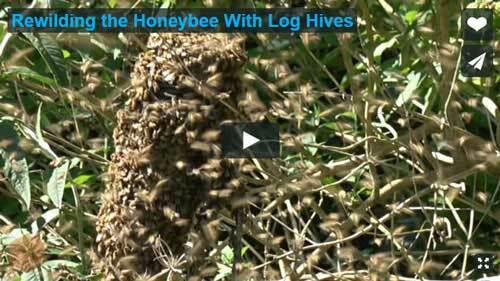 It is estimated at least 9,000 hives have been destroyed around the country, local media reported. 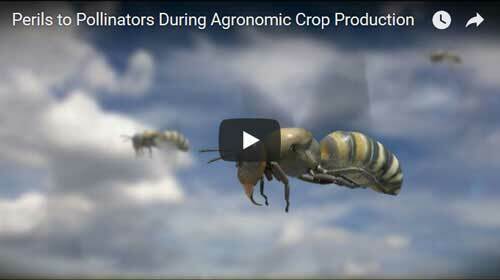 Researchers from Cornell University recorded the footage. 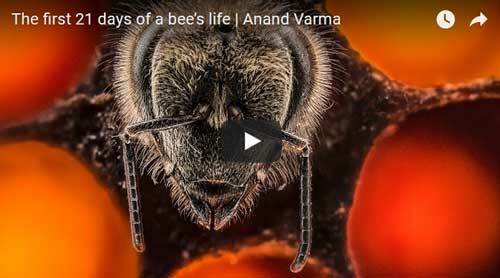 It matters because Varroa mites are the scourge of honey bee populations worldwide, infesting managed and wild colonies alike. The tiny parasites feed on bee adults and larvae, making the fliers more prone to infections and passing onto them illnesses such as deformed wing virus. Mella - an urban beehive designed especially for novices - is the brainchild of Loughborough University Industrial Design and Technology student Ellie MacLeod. When it comes to unlocking the pollen from certain types of flowers, only a secret buzz will work — a buzz that bumblebees know how to perform. 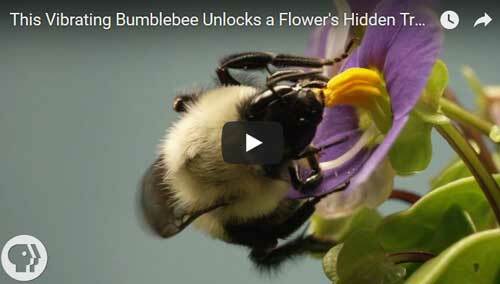 Not even honeybees, the most famous of pollinators, know how to crack the code. 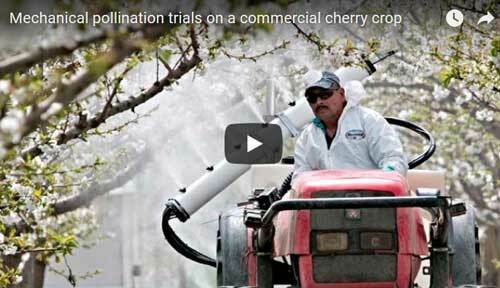 Called buzz pollination, the strategy is utilized by some 20,000 flowering plant species including many agricultural crops we know and love like tomatoes, blueberries, potatoes and cranberries to name just a few. The plants make the bees work extra hard for a payoff of pollen. After two years of experimenting, the stone fruit physiologist and his collaborators believe they have developed an effective artificial pollination system that uses an electrostatic sprayer to apply a suspension of pollen to flowering fruit trees. 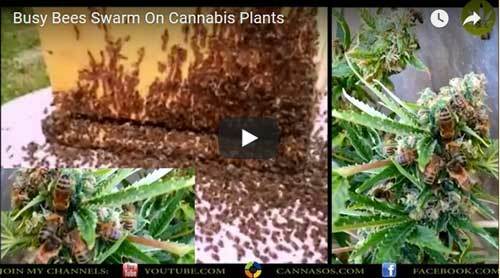 Bees love cannabis as much as humans do. Just look at them clenching to those weed buds. 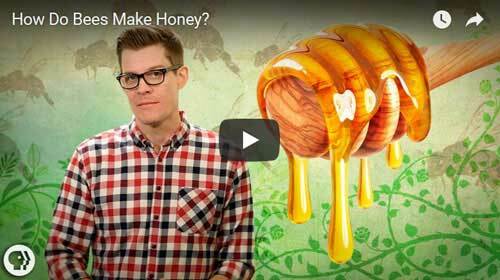 Ever wondered how cannabis honey tasted ? 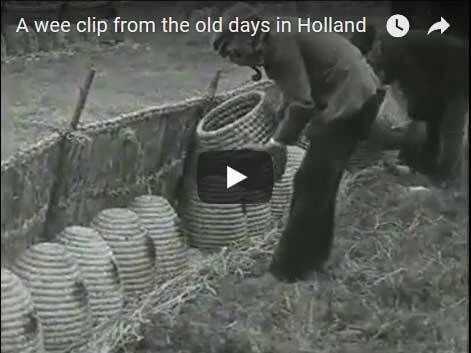 Beekeeping in Holland before Langstroth ? 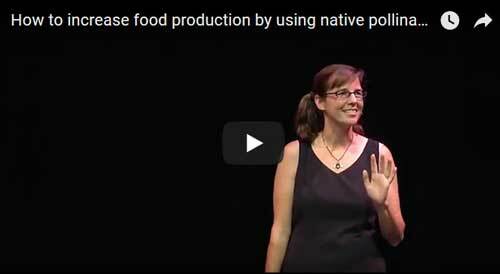 Laura Klahre gives a voice to the unsung heroes – pollinators! A full-time beekeeper with over 18 years of experience, 100 hives, and upwards of eight million bees, Laura raises mason bees, bumblebees, and honeybees. Her store Blossom Meadow is located in Cutchogue, NY. She also writes a column “Notes from the Meadow” for Edible Magazine. 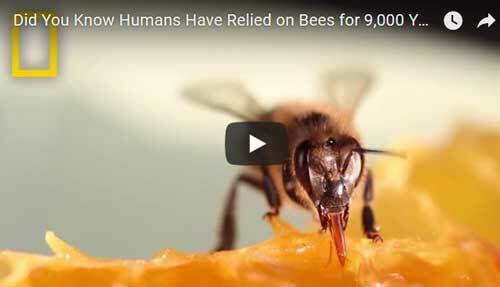 While some colony losses are normal, these numbers are high. "Such high colony losses in the summer and year-round remain very troubling," entomologist Jeff Pettis said in a statement. 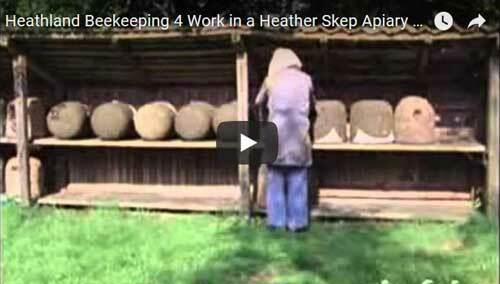 A VIDEO EVERY BEEKEEPER SHOULD WATCH! 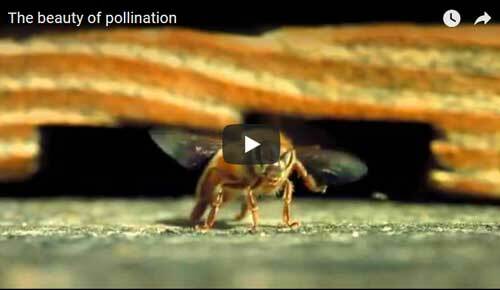 The film follows a female mason bee that has recently hatched, following her through her life as she raises a new generation. 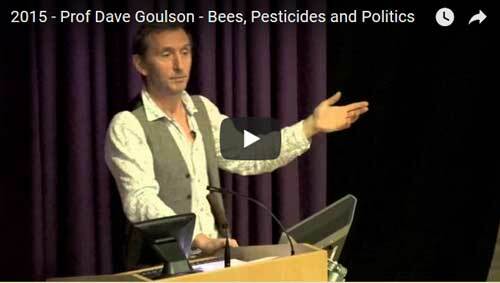 The second Annual Plymouth Linnean Lecture was held on Wednesday 18th March 2015 at Plymouth University by Professor Dave Goulson and was entitled "Bees, Pesticides and Politics: the impact of neonicotinoids on UK bumblebees ". 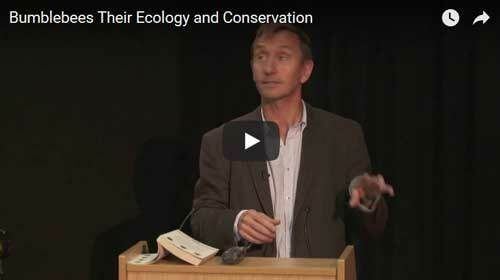 This video acts as a permanent record of the Linnean Lecture Series and we welcome your comments and feedback. The lecture was presented jointly by Plymouth University and the Linnean Society of London. 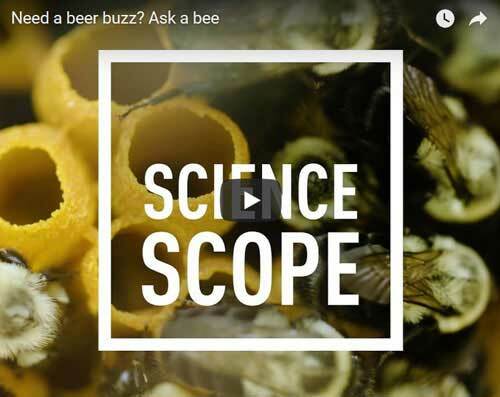 It was hosted by Dr Malcolm Scoble (Scientific Secretary to the Linnean Society of London) and this video includes his introduction and a Q&A with the audience. 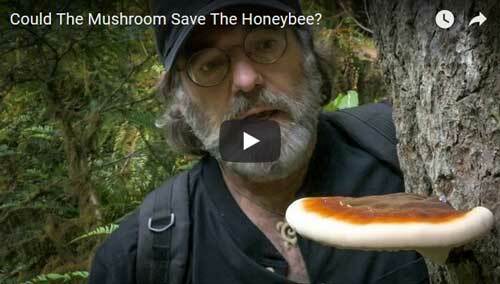 Paul Stamets and Steve Sheppard, two scientists in Washington state, team up to save the honeybee from colony collapse disorder. They’re investigating an unconventional remedy: the mushroom. 90% of Britain's bees are Solitary Bees. 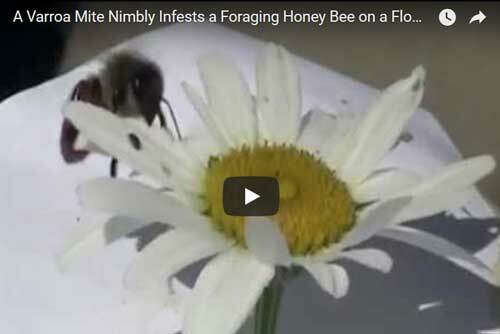 They are crucial pollinators, yet are little known or conserved. 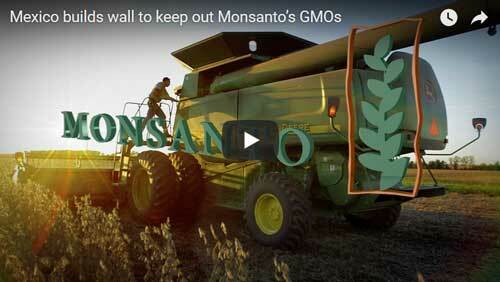 This film aims to change that. 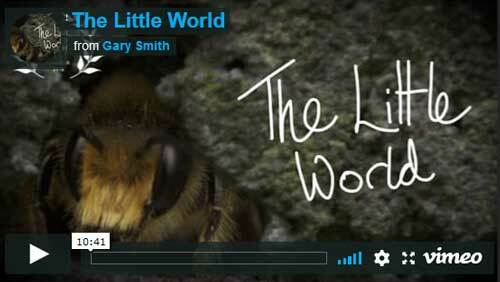 This film showcases the fascinating behaviour and value of the UK's solitary bees. We follow a variety of different species through their struggles to find resources, avoid death and create new life. Ideal for anyone who loves our bees and nature! 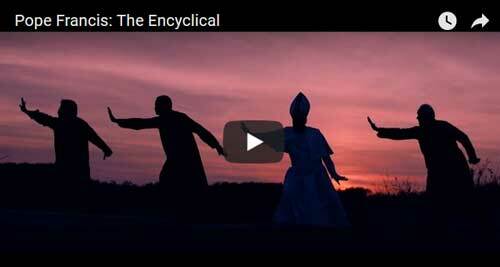 Encyclical: The planet is at breaking point, says Pope Francis ! 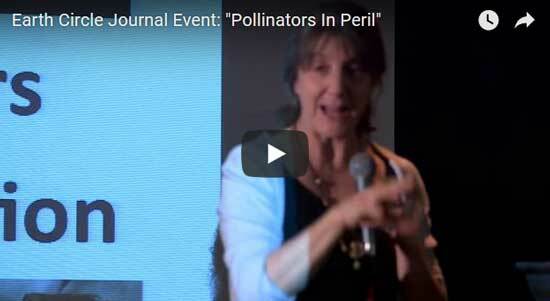 MinnPost members and guests gathered at Hell's Kitchen in downtown Minneapolis on Monday, March 9, 2015, for this year's annual Earth Journal Circle event: "Pollinators in Peril." 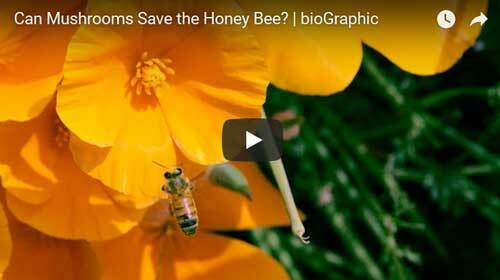 Marla Spivak, director of the University of Minnesota's Bee Lab, shared her insights into the current plight facing honeybees. A tribe of Nepal hunt a wild honey with natural psychoactive properties ("mad honey") they use it as a medicine and a soft drug. Dipak, the translator of this movie is overdosing and fall unconcious.